It doesn’t matter where you live in San Pedro, because you’ll want to visit Abalone Cove Shoreline Park at some point in the near future. This beautiful scenic masterpiece is right near the ocean with beautiful hiking trails, an amazing beach, tide pools, and it even has a picnic area and restrooms. 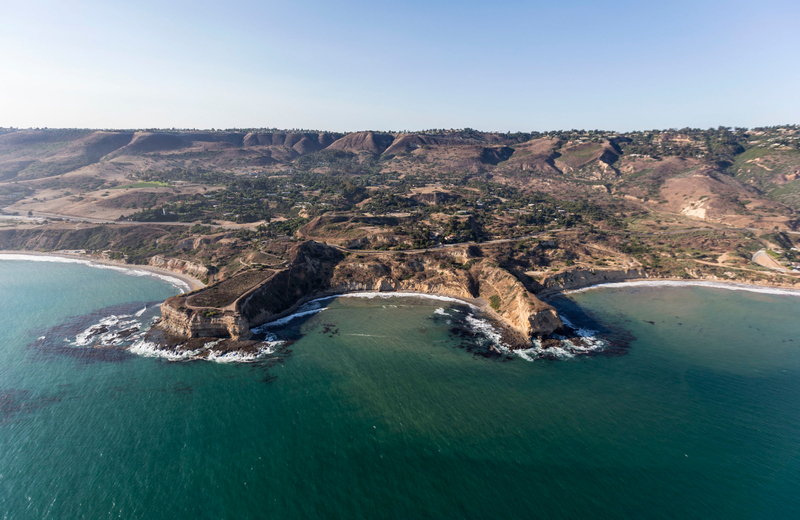 As you are about to discover, this not-so-secret location in Rancho Palos Verdes CA is a destination you will not want to miss. It’s the ideal place to go if you’re looking for adventure, excitement, and a fun day with family and friends hanging out at the beach while soaking up the sun and lounging in the sand. Do you typically spend your days staring at a computer screen in the office? Do you often have so many personal responsibilities to take care of on the weekend that your life feels overwhelmed and out of control? You have to take a moment to relax and unwind. A great place to do this is at Abalone Cove Shoreline Park because it’s peaceful, relaxing, fun, and it gives you a chance to reconnect with nature. With that said, let’s take a minute to learn more about Abalone Cove Shoreline Park below. Is There an Admission Fee to Enter Abalone Cove Shoreline Park? Since this is a park in California, you would think that they weren’t going to charge you an admission fee to enter the premises. On the surface this is true, but there definitely is a catch that you need to learn about. As an example, if you only plan to visit the park for 30 minutes and no longer, you are allowed to visit and walk around for free. If you plan to stay anywhere from 30 minutes to two hours, you are supposed to pay six dollars in admission fees. For those who plan to spend more than two hours at the park, they are required to pay $12 in admission fees. As you can see, this isn’t exactly free, but it’s still relatively inexpensive to enjoy a fun filled, happy day at the park with family members and friends. So it’s absolutely worth it over the long run to create memories that you’ll be able to keep with you for a lifetime. If you plan on taking a bus into the park, it will cost $55. Obviously that isn’t exactly the most inexpensive proposition so you may want to consider other transportation options if that is too expensive for your particular budget. We just wanted to throw it out there so you know about all of your options in case you are stuck without being able to find yourself a ride. Finally, it’s important to know that senior citizens 62 years of age or older and handicapped citizens are allowed to enter into the park for free, no matter how long they plan on staying. They could stay for an hour, five hours, or all day and night and they will not have to pay anything during their visit. Most important of all, they are allowed to enter into the park for free all year round, no matter what happens to be going on that particular day. This is certainly a good thing and it’s a nice thing to do so we really appreciate what the officials at Abalone Cove Shoreline Park are doing for senior citizens and the handicapped. One of the main reasons why so many people like to visit this park is because it features two beaches known as Sacred Cove and Abalone Cove, which is pretty exciting because you get to visit both beaches while visiting the park. But that’s not all, because if you aren’t coming to the park for the beaches, you definitely have other exciting options as well. There are trails that crisscross throughout the entire park, so you’ll be able to take in the sights and sounds and get plenty of exercise while here. You can bring your dog along to walk the trails and hang out in the picnic area, but they aren’t allowed on the beach. And remember to invite family and friends to make it a truly special day the next time you come for a visit. Let’s not forget about the tide pools. The shallow pools of seawater are beautiful, often filled with plant life, and capable of adapting to environments of all extreme types. They are also great to sit in while soaking and relaxing and letting the stress of life melt away as you take a moment to enjoy a perfect day. They also have bluff top viewing areas that make it easier than ever to get a view of the gorgeous ocean as well as Catalina Island. This is truly breathtaking and spectacular and viewing these areas from this location will create memories that will last forever in your mind. Finally, while here you may want to spend time in the picnic area. You can build a fire, throw burgers and hotdogs on the grill, and sit down to enjoy a tasty meal with your loved ones and new friends that you’ve met at the park. The park opens every morning at 9 AM and closes at dusk, so do your best to wrap up your afternoon before the park closes and remember to get there early to find a good spot. Parking lot entry is only available at Abalone Cove Beach and opens at 9 AM and closes at 4 PM. The beach is closed on Thanksgiving, Christmas Eve, Christmas Day, and New Year’s Day.